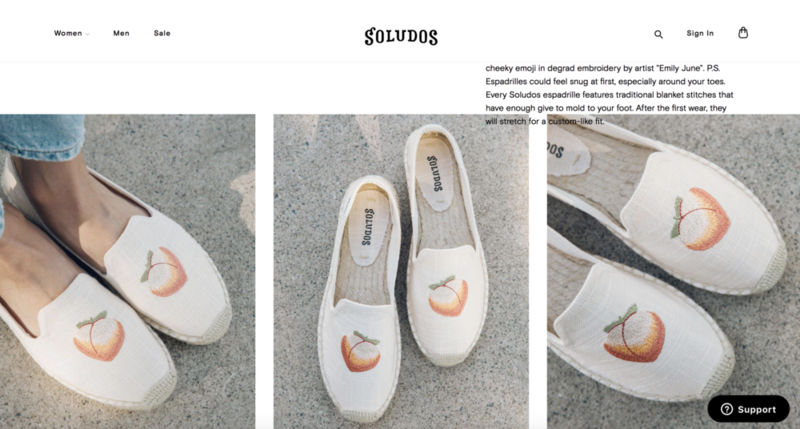 Emily June’s most recent brand collaborations. 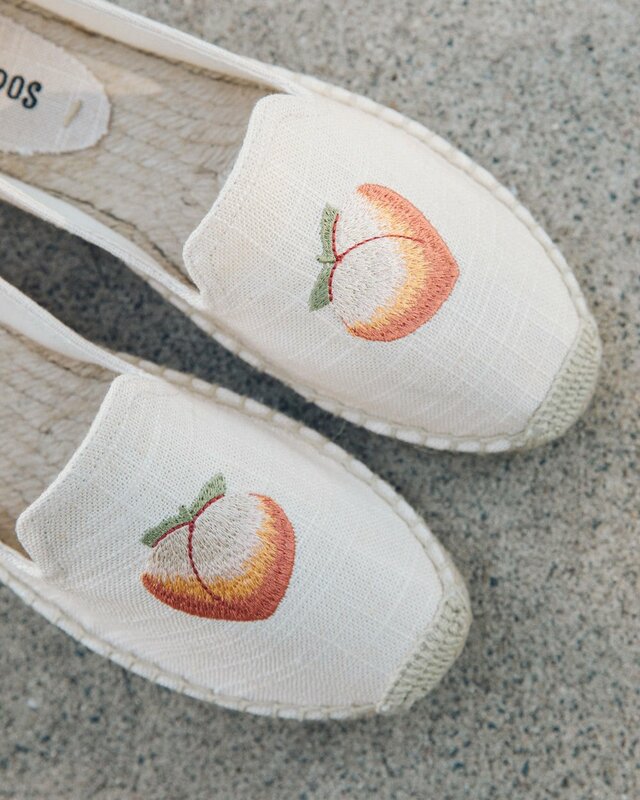 To partner on exclusive designs for your brand, visit the connect page! 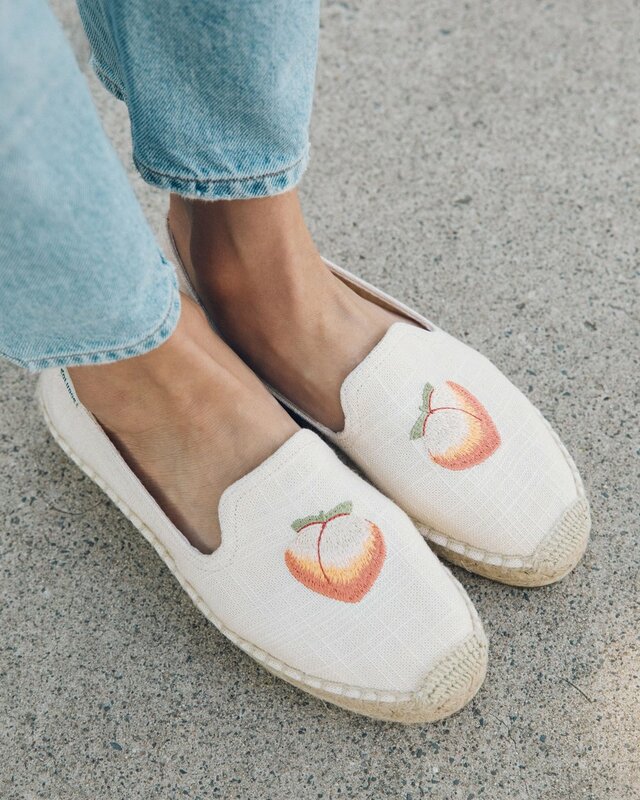 This exclusive design for Soludos features a peach stitched as an homage to the iconic peach emoji, and is featured as part of their Spring 2019 line.